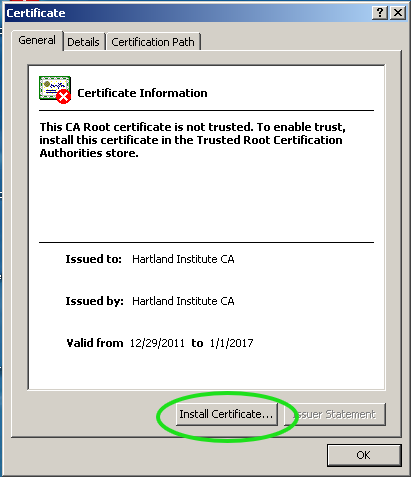 Once this window pops up, you need to click on the button labeled "Install Certificate"
The next few windows that will pop up are specific to the *quot;Certificate Import Wizard" All you need to do is accept the defaults. 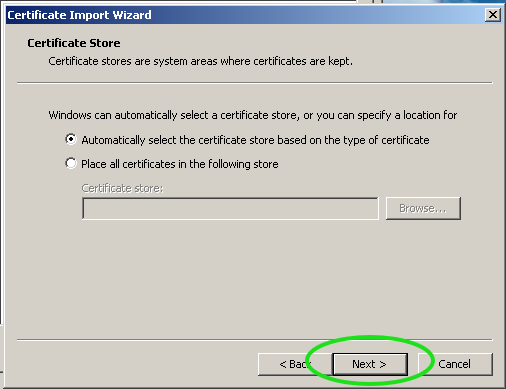 The next window is the "Certificate Store". 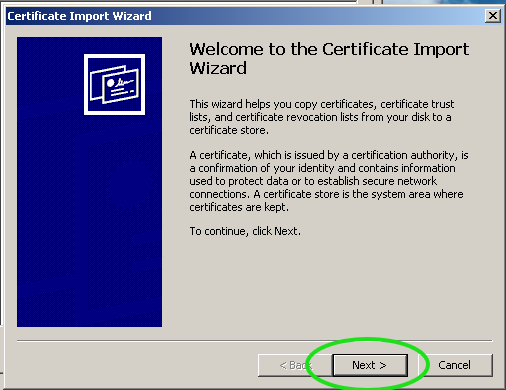 The Next window is the window that you will use to complete the "Certificate Import Wizard"
The next window to pop up will be a "Security Warning". 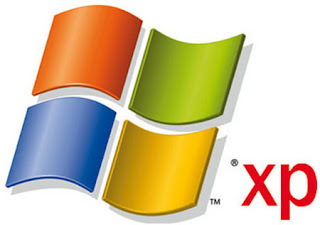 All you need to do here is click on the "Yes" button to confirm that you wish to install the certificate on your machine. 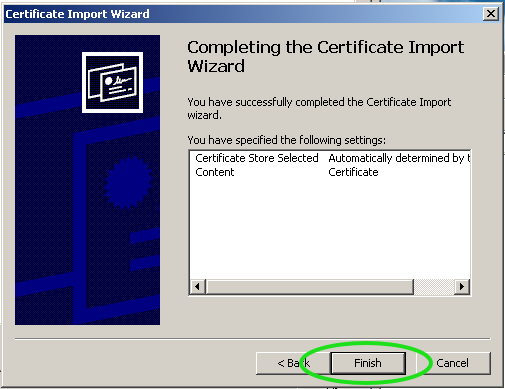 You will then be brought back to the screen that has the certificate information on it, and a little box will pop up that tells you that you have completed the import of the certificate. Please click on the "OK" button to close this box. Once the notification box is gone, you will be back at the window that has the Hartland Institute Security Certificate information in it.